The FLEXspace initiative is a large collaborative effort that started in the State University System of New York and quickly spread. 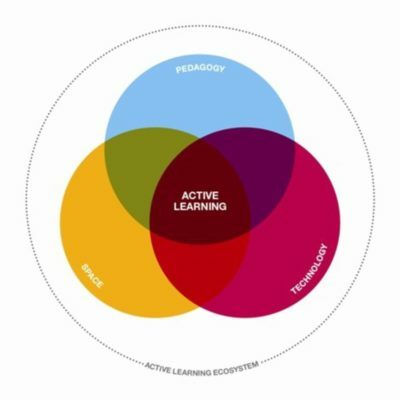 FLEXspace – The Flexible Learning Environments eXchange – is an innovative tool that supports a highly-engaged community of experts, decision makers, influencers, and practitioners from higher education, K-12, libraries, museums and industry committed to improve learning space planning, design and implementation. Learn more about the FLEXspace core team and research and evaluation working group. 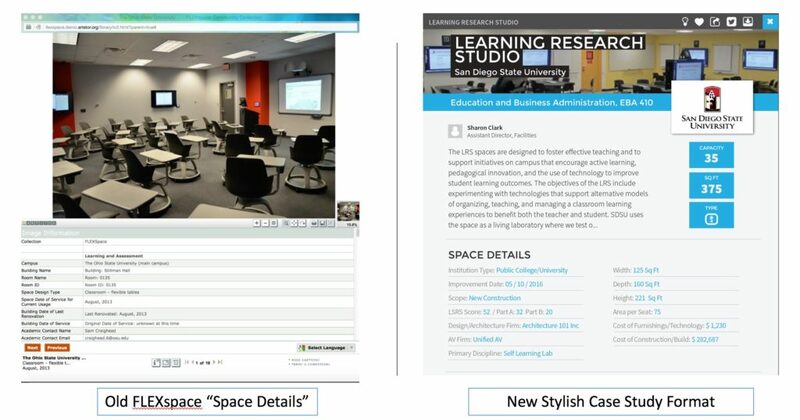 FLEXspace provides a sophisticated suite of features that allow users to document and showcase learning spaces, share resources and best practices, work collaboratively with campus colleagues and partners, and connect with an ever-expanding worldwide community. 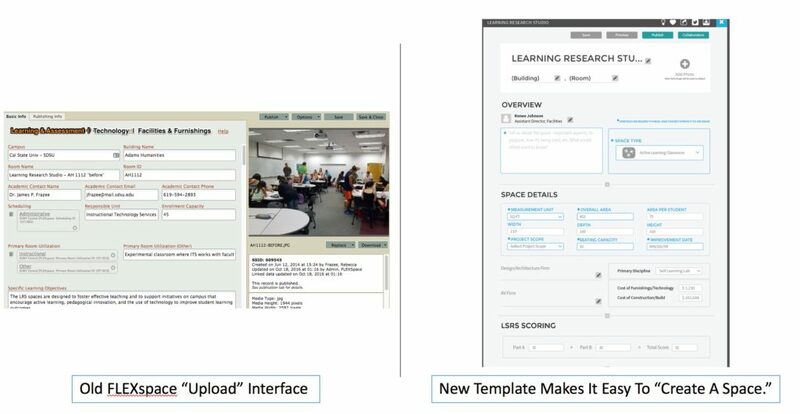 Use FLEXspace to help you plan, design, implement, maintain, assess, and improve your campus learning spaces. FLEXspace membership is free for academic users, and available to others through partnership support. The highly anticipated FLEXspace 2.0 portal has been re-designed from extensive stakeholder input and user research. See What’s new in FLEXspace 2.0. January 2018 – The rollout began with full migration of all “legacy” spaces from the original portal and the ability to browse, filter, and view the existing collection of over 300 global learning environments! NOTE: These legacy spaces were created in the old interface and migrated as of November 2017, with wide variation in details and images. The new stylish case study template format provides new and convenient options for detailing a space. Add collaborators (co-editors) who can also add images and details to your spaces. Idea Boards (Think “Pinterest” where you can tag your favorites and organize them in folders that you may publish to the FLEXspace community, or keep private. Add collaborators to a shared Idea Board so you can all add to it. Institution Pages (Each campus has their own page where you can find all spaces, tools, and members from that campus). Here are more before and after images of the FLEXspace interface.